Welcome to Fitness ‘n’ Flava where good food never has to taste dull. These blogs are for all my uni students struggling in the kitchen, for all the fitness bros and gals still eating chicken with no seasoning, and everyone who wants to chef up a storm, stay lean and make some serious gains in the gym. I want to show you all some good food from Jamaica and around the world (with the help of some friends) that tastes great and keeps you on track towards your fitness goals. The first recipe is going to be a favourite of mine, chicken is a staple of any fitness diet, high in protein, low in fat, and can taste great (if you know what you’re doing). 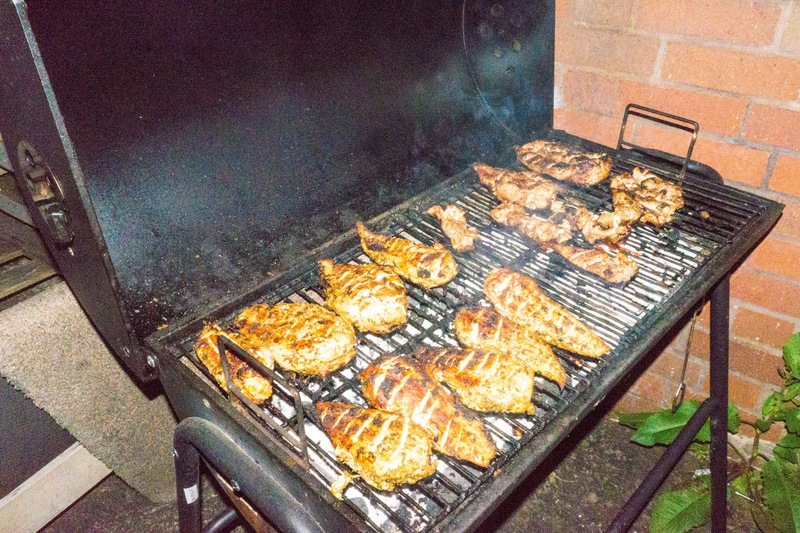 Quick jerk chicken is a meal you can whip up with 15 minutes prep then let the grill or the oven do the rest. If you enjoy this let me know in the comments and, I’ll drop a full from scratch jerk chicken recipe in a few weeks time. You always have to know some of the stories behind whats on your plate. Jerk is a cooking style conceived within the rich culture of Jamaica. The Maroons (Runaway slaves who successfully defended themselves against British soldiers, fighting and defeating them in the hilltops of Jamaica) are widely credited with inventing this technique using a combination of Arawak (The indigenous people of Jamaica) seasonings and African cooking techniques. In order to preserve and cook the wild meat, they hunted in order to survive. The seasonings and the cooking techniques have since evolved but the principles remain the same. *Disclaimer* Because this is the quick version and we are using a lot of premade seasonings we have a much shorter ingredients list. All my Jamaicans out there relax, full recipe coming soon. I’ll try to be precise with the measurements but honestly, Jamaican food is about getting a feel for your food and intuitively knowing what works for you & your taste buds. 1. Rub your chicken down with some lemon juice (massage it nicely, treat it how you’d treat that special person in your life). 2. Score your chicken lightly with a knife on both sides to allow it to cook quicker and allow the seasoning to reach deeper into the meat. 3. Add a generous amount of dry rub to your chicken allowing for a light coat all over the chicken. 4. Cut up all your fresh seasoning and add it to the chicken in a bowl. 5. Take your jerk paste add it to the bowl and use your hands to massage all the seasonings into the chicken (This chicken should be *Sings* Drippin in finesse). 6. Let it soak for 1-24 hours in the seasoning the more patient you are the more flavourful the chicken will be. 8. You can add a BBQ glaze or some honey for some sweetness, but be aware this adds some carbohydrates to the recipe so take count for that in your macro’s. There you have it… some of the finest flavours of Jamaica in no time, right from your kitchen. You can have it as a little snack, serve it up with some rice, eat it in a sandwich the possibilities are endless!